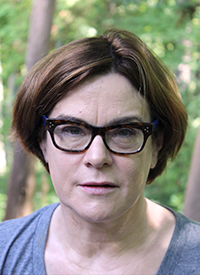 Patricia A. Joyce’s broad-ranging research interests include non-offending mothers of sexually abused children; cultural competence and PTSD; domestic violence; and secondary trauma and ethnicity. She has authored and co-authored numerous conference presentations and academic articles in journals including Journal of Child Sexual Abuse, Journal of Child and Adolescent Trauma, and Clinical Social Work Journal. She is the recipient of five grants, and serves on the board for Turning Point, an organization that provides domestic violence and youth development services to Muslim women and their families. Joyce earned her D.S.W. from City University of New York and her M.S.W. from Hunter College. She also holds a B.A. from St. John’s College.